Box is situated amidst numerous excellent sources of good food and drink. Within reasonable walking distance in Minchinhampton, Amberley and Nailsworth are some fine pubs and restaurants, most specialising in draught beers and locally obtained food presented to very high standards. Within a few miles, numerous pubs and restaurants offer food and drink of exceptional quality. 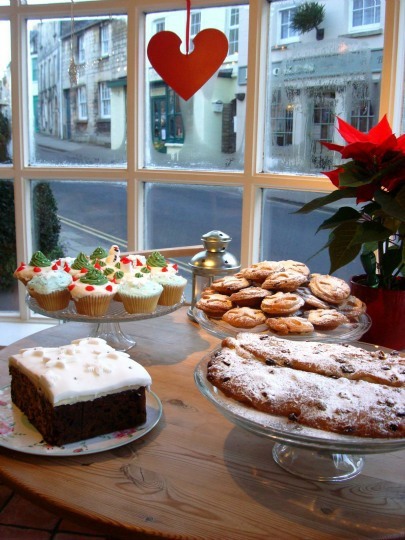 As an example, Minchinhampton offers The Kitchen, which was awarded Cotswold Life’s “Tearoom of the Year” award in 2013. Nailsworth now has its own tiny brewery, Nailsworth Brewery, and adjoining pub, The Village Inn. Fresh foods such as fish, meat, vegetables and bread as well as milk and cheese from local farms are now all available from specialist shops in Minchinhampton and Nailsworth, with a local farmers’ market in Nailsworth once a month on 4th Saturday, 9am – 1pm. There is also a large award-winning local farmers’ market in Stroud every Saturday, 9am – 2pm. For a tried and frequently tested recommendation, ask almost any Box resident!